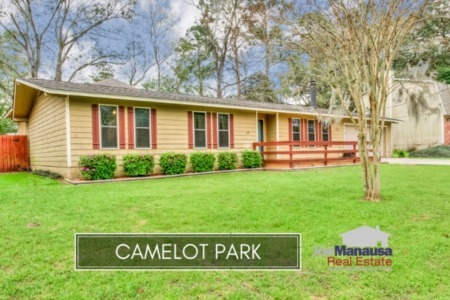 In today's post, we break ground for the first time in the 32317 zip code, which is selling it's fair share of homes in Tallahassee. Currently, there are just over 100 homes for sale in the 32317 zip code, and that is about 11 months of supply. Through the first week in August of 2014, there have been 112 homes sold with an average sales price of $211,000 and the average home value is currently trending up to $112 per square foot. 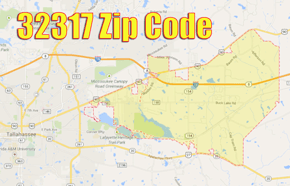 The 32317 zip code is in the Northeast quadrant of the Tallahassee real estate market, but it actually sits more "east" than "northeast." The map at the right contains a rough outline of the 32317 zip code, and the easiest way to visualize this popular area is to think of everything south of Hwy 90 and North of Hwy 20, outside of Capital Circle NE and inside of Gamble Road. While there are pockets within that description that fall outside of 32317, it's a fair approximation of where it lies. We often refer to this area as the Buck Lake Road area. The real estate graph below shows the average number of homes sold and average home prices in the 32317 zip code. Starting from left to right, we see unit sales (blue bars measured on the left vertical axis) and average home prices (blue line measured on the right vertical axis). Unit sales are creeping up slowly, posting the best numbers we have seen in the past five years. Home prices have been just above $200K since hitting bottom in 2012. Currently, we can see that the average value of a home sold in the 32317 zip code has been about $112 per square foot, and current home values are similar to where they were in 2011 and at the end of 2004. While the recovery is well under way for the 32317 zip code, home values are still down about 23% since the housing market peak in 2007. This shows that there are still some great values to be found by buyers. 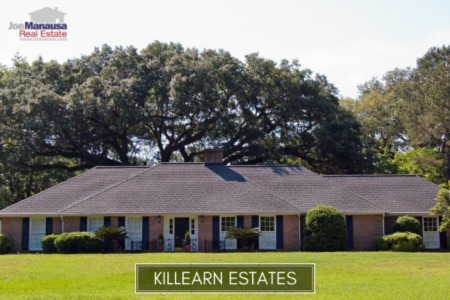 The following list shows the 10 most recent 32317 home listings in the Tallahassee MLS. 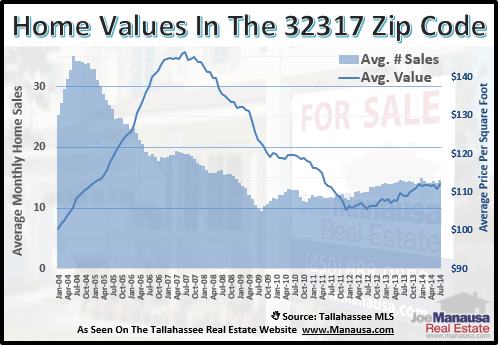 The following table shows all home sales in the 32317 zip code in the Tallahassee MLS. Note that the table can be sorted by each column heading. 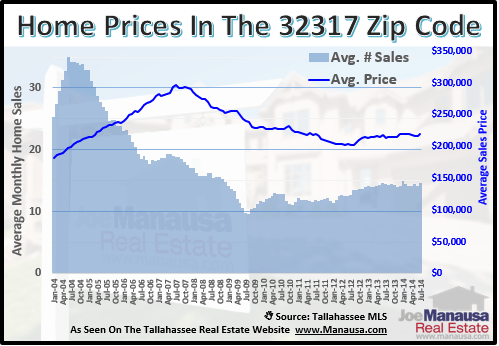 I hope you enjoyed the 32317 zip code report and we are always here to serve you whether buying or selling in this popular segment of the Tallahassee real estate market.